E&S equipment can direct ship Honda small engine parts to your business or home or you can pick them up in our store. We carry a full line of genuine Honda replacement parts to get your engine and machine back up and running again. Our company can also get you a new replacement Honda engine if needed. Already know what Honda parts you need and have the part numbers? Great, just call Trey at 703 919 5291 to order them. Need to look up your Honda part numbers or need an owners manual for your Honda engine? Click on the links below to retrieve your part numbers or get your Honda engine owners manual. Our company also has free part lookup assistance to help our customers that are unsure of what Honda part they need. To help ensure you get the right part for your Honda engine, we need the engines model type, product code and serial number which is located on your Honda engine. 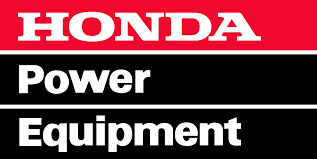 We can get Honda parts for your Honda lawn and garden equipment / agricultural equipment (ie lawn mower, tractor, tiller, cultivator) as well as replacement parts for your Honda generator, snow blower, water pump, utility vehicle, pressure washer, forestry equipment, construction equipment, industrial equipment, marine engines and more. We carry Honda replacement parts such as but not limited to air filters, oil filters, fuel filters, carburetors, ignition modules / coils, fuel tanks, mufflers, gaskets, recoil starters, crankshafts, pumps, flywheels, stators, etc. Below is a list of very common Honda engine parts that are ordered through our company. Call 703 919 5291 to get Honda parts shipped to you!